FILE – In this Wednesday, June 27, 2012 file photo Greg Norman tees off from the seventh hole during a pro-am event at the Fox Chapel Country Club in Fox Chapel, Pa.,. The China Golf Association has appointed Norman its advisory coach to the national golf team. The former No. 1 player in the world will help develop a golf program and identify China’s best players for the 2016 games in Brazil. 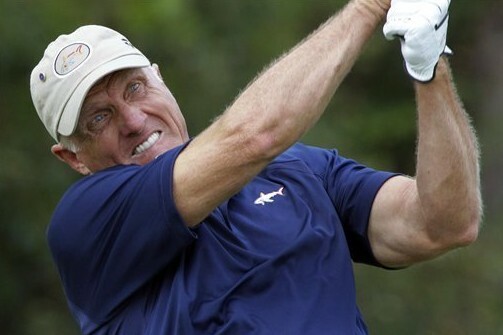 China is turning to Greg Norman to identify and coach its best players for the Olympics. The China Golf Association on Friday appointed Norman the exclusive advisory coach of its national golf team to get ready for the 2016 Games in Brazil and improve China’s global standing in golf beyond the Olympics. Norman, a two-time British Open champion and former No. 1 player in the world, will development a comprehensive plan of instruction, nutrition, mental training and course management, along with providing his own tournament experience. He will appoint two assistant coaches to work with the China Golf Association staff. Norman will make regular visits to the national team’s training facility in Nanshan leading up to the 2016 Olympics. Norman also will identify China’s best prospects for the Olympics and broaden the junior program to reach every province. "I’ve always advocated for the growth and accessibility of the game and look forward to working with the CGS to bring my experience and longtime support of junior golf to China," Norman said. "My role is not only to help prepare the China national team for international competition, but to also teach social skills, etiquette, honesty and self-confidence in giving young Chinese golfers a pathway to their future as adults." Norman has a wide ranging business operation, Great White Shark Enterprises, which includes golf course design. He has designed three golf courses in China.